Was a Mountain Lion Spotted in MA This Week? 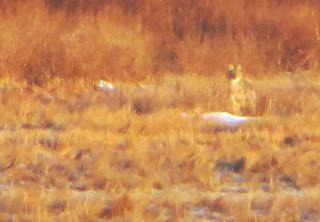 Read my take on the sighting and what it says about our relationship with wildlife at the National Wildlife Federation blog. President Obama talks a lot about standing up to the industrial carbon polluters disrupting our climate. So why does he act like the decision on Keystone XL tar sands pipeline - a carbon bomb & one he doesn't have to beg Congress to defuse - is so hard? Why are he and Secretary of State John Kerry standing by in silence as the State Department hires oil contractors to write the environmental review? The administration’s approach to the pipeline is a throwback to the time when endangered species were defenseless in the face of corporate moneymaking. It is a reminder that even though our environmental laws use science, not profits, as the basis of our environmental decisions, any company with bottomless pockets used to be able to game the system and get away with it. 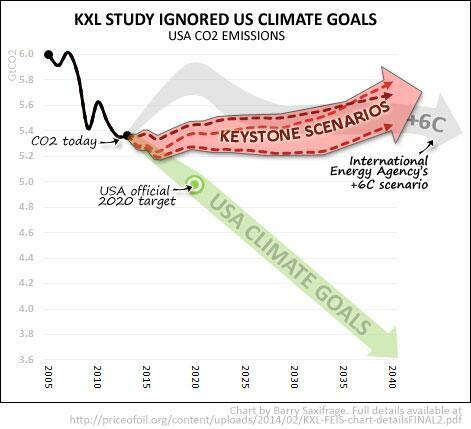 Depending on the outcome, I worry that the American public won’t just lose faith in Keystone. It will lose faith in the government’s ability to fund, carry out, understand and implement scientifically based environmental policy. President Obama doesn’t want that to be his legacy. Neither do I. And I am hardly alone. Will President Obama and Secretary Kerry do the right thing, or will they be yes men for Washington's big money special interests? Ask them to say no to Keystone XL. With New England once again wracked by high natural gas prices this winter, Massachusetts' plan to "fix" it involves building a new gas pipeline to deliver fracked gas from Appalachia (but not from the neighborhood of ExxonMobil's CEO). In January, the six New England governors sent a letter to ISO-NE with a plan to diversify the region's energy infrastructure. The plan has two parts, the first of which is to create more pipeline for natural gas with public funding. "We want more people to switch to natural gas, and we want to be using natural gas for electricity," [Massachusetts Assistant Secretary for Energy Steven] Clarke said. "We want to gain access to affordable, cleaner energy. That's where the pipeline comes in." Why would we subsidize fracked gas? There's more and more evidence that from a global warming perspective, fracked gas is just as bad as coal. We're just replacing one addiction to climate-disrupting high-carbon energy with another. If we're going to be investing public funding in new energy sources, why not go all out with clean energy, starting with Cape Wind? [A]fter a particularly bad three-day cold snap in 2004 that strained electric generators, the Massachusetts Department of Energy Resources conducted a study of how Cape Wind would have helped the system. Using meteorological data from Nantucket Sound, the study found that Cape Wind could have supplied 25,596 megawatt hours of energy during those three days. According to the study, had that energy come from Cape Wind and not natural gas at the time, 184.25 million standard cubic feet of gas would have been saved — enough to heat 1,600 homes for a year. "Offshore wind would lessen some of the pressure on the pipeline that we have and would make a more secure electric grid," [Cape Wind spokesman Mark] Rodgers said. "Offshore wind can really provide utility-scale clean power to the East Coast at times when it is needed more." Yes, clean energy will cost a little bit more up front. But how much will it save us in reduced carbon pollution? Superstorm Sandy alone caused $68 billion in damage on the East Coast. We're supposed to get freaked out that offshore wind and local solar will raise our bills by a couple of bucks a month? Please. 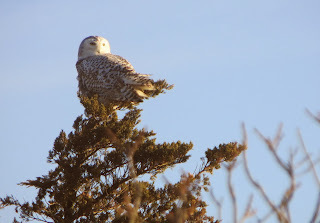 On my third try, I finally got to see one of the snowy owls spending the winter in southeastern New England. Speculation is that more owls than usual are showing up in the U.S. this winter after an Arctic lemming population boom meant more snowy owl juveniles than usual survived and thrived enough to make the migration. A snowstorm turned me away from Allens Pond Wildlife Sanctuary in Westport last weekend, and I went home empty-camera'd after a cold, windy Presidents Day walk on Fairhaven's West Island. But on Saturday I got to West Island just after sunrise and finally saw this snowy owl. Raptors are great for bird watching because when not nesting they're fairly indifferent to people - I was able to walk right up to the tree where the owl was perched (good luck walking up to a jittery songbird). It did seem mildly annoyed when I made noise, kind of like, "Do you mind? I'm hunting here." But the item directly below global warming on the list - global trade issues, ranked dead last - shows why the entire poll is pointless. Guess what Washington is about to focus intensely on? Yup: Global trade issues. The Obama administration is pressing Congress to ratify the Trans Pacific Partnership, which Rep. Keith Ellison (D-MN) calls "the largest corporate power grab you never heard of." What about jobs, which has been a top priority for years? Republicans have held the House for 1,141 days and counting without passing a jobs bill. They must not care about priority polls, either. Will David Gregory Let Meet the Press Get Spun by a Climate Denier? UPDATE 2/18: So how did Meet the Press and other Sunday shows do? I just wrote up a recap at the National Wildlife Federation blog. Meet The Press, NBC News' Sunday morning political talk show, is hosting a "debate on climate change" tomorrow featuring children's TV host Bill Nye and polluter-funded politician Rep. Marsha Blackburn (R-TN). Deniers like Sen. Jim Inhofe (R-OK) admit in unguarded moments that they only deny climate science because they hate the solutions. Will host David Gregory force Rep. Blackburn to talk about inconvenient truths and the need for tough medicine, or let her spin him into talking about how it's cold outside? How is it "serious" to talk about facing the deficit, but if you don't feel like talking about climate solutions, you're allowed to deny the problem exists? Unfortunately, “Meet the Press” cannot deal with any issue without framing it as a binary debate between two opposing partisans, with the assumption being that “the truth” lies directly between their views. The fact that, in this debate, the entertainer represents the “side” of the overwhelming scientific consensus is less important to the producers of “Meet the Press” than the fact that one “side” is also the consensus of the Democratic Party, while the view of a small fringe in the scientific community is the official position of the Republican Party. 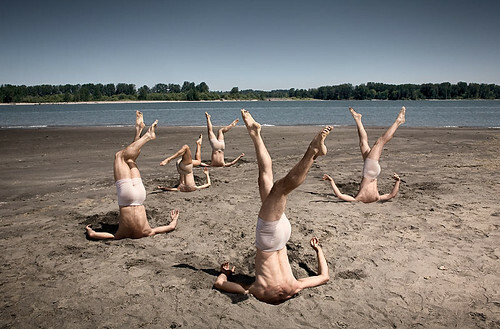 The political debate apparently trumps any responsibility the program might feel to present to its viewers an accurate picture of the debate, or non-debate, over anthropogenic global warming among actual climate scientists. I predict with absolute certainty that one of Gregory’s questions to Nye will be some variation on “How can there be global warming if it just snowed a bunch?" Next week's debate: Do cigarettes cause cancer? An oncologist debates a tobacco executive! Friedmann said it was “unquestionable” that coal would remain an essential element of a “vibrant” American energy portfolio but said it would be difficult to reduce greenhouse gas emissions and address climate change without the use of CCS technologies. “It's a technology that we simply need to have,” Friedmann said. Is it to protect coal jobs? The solar energy industry already employs more people than the coal and gas industries combined. Why are Obama administration staffers like Friedmann be putting a thumb on the scale for coal? As Sen. Sheldon Whitehouse (D-RI) explained, we should look out for the fate of high-carbon energy industry workers, but not at the expense of workers in countless other industries like fishing, skiing and foresting that suffer due to carbon pollution. But as Andrew Breiner reports at Climate Progress, Friedmann has more reasons to advocate for carbon capture & storage coal plants than just, is it good for America? The real question is, is it good for Friedmann's past and likely future employers? The very existence of Friedmann’s clean coal post is boon for the coal industry. The possibility of “clean coal” is highly questionable, and industry has pushed the idea for decades to allay concerns about the environment and climate change. While the DoE has pursued a variety of worthwhile efforts to make fossil fuel production generate less CO2, it cannot do enough to make coal a fuel that can be safely pursued. But the DoE will continue to fund research and demonstration projects that support its desirability as a climate change solution, fostering positive public perceptions of coal, and decreasing the perceived urgency of abandoning it. It is at this point I must remind you that this is a Democratic administration, which is allegedly the party that understands we need to get off of coal as quickly as possible if we have any hope of keeping climate change from becoming climate crisis. No matter who's in charge in DC, the fix is always in for dirty energy. The default, the center of gravity, the least painful thing is to do what the polluters and their huge piles of desperately-needed campaign cash want you to do. It's always up to average citizens to make our elected officials feel enough pressure to do the right thing. That's the only way things change. 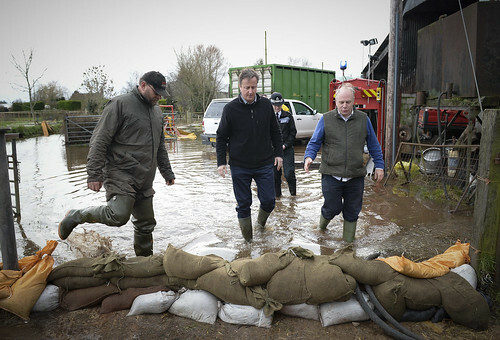 With unprecedented climate change-fueled floods pummeling the United Kingdom, conservative Prime Minister David Cameron stood in front of the media Tuesday to insist that, despite appointing a climate science denying environment secretary to gut flood preparation and ignore climate threats, he is in fact aware that climate change is happening. It's yet another reminder of how completely conservatism has failed humanity on global warming. Scientists have been warning of man-made climate change for more than a half century and of ongoing and potentially catastrophic climate change for more than a generation. Yet all these later, conservatives like Cameron remain paralyzed in the face of this ongoing disaster by their anti-tax zealotry. And compared to today's Congressional Republican leadership, Cameron is Al Gore. Conservatism has no answer to climate change - that's why they demand to debate science, not solutions. The media may let them get away with it, but the atmosphere isn't so forgiving. "As a conservative Republican, I am typically for less regulation, but I also recognize that the absence of regulation can create anarchy," [State Sen. Phil] Williams [R-AL] said. Just last month in Virginia, a Republican state senator's bill to put up new hurdles to wind energy in Virginia was narrowly defeated. Again: Republicans aren't pro-business, or anti-government, anti-regulation, or anti-subsidies. Some have principles, sure. But many support what their big business patrons want them to support, and are willing to do whatever it takes to stop clean energy from infringing the slightest bit on their supporters' government-protected polluting monopoly. Wasson, calling the incident “a massive disaster,” said six inches of coal ash covered the bottom of the river Tuesday about two miles downstream from the spill site. “It’s like a lava flow moving slowly toward Danville on the bottom of the river,” Wasson said. 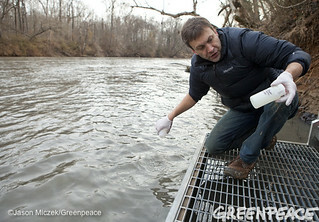 Selenium toxicity could be a concern for humans for months or years as a result of the spill, Wasson said. Arsenic could reduce the number of fish available in the Dan River for years, harming the food chain on which they depend for food. “It’s fair to say possible impacts of this on fish populations could extend for years,” he said. When politicians talk about the cost of coal energy vs. clean energy, they never (OK, maybe if their name is Jim Moran or Sheldon Whitehouse) talk about costs like these. What's the cost of threatening the Dan River's drinking water and entire fish population? When politicians like State Sen. Tom Garrett claim to be terribly concerned about the impacts of wind power on birds, why aren't they outraged that bald eagles will now be eating coal ash-poisoned fish out of the Dan River? Mercury contamination is so widespread that one out of every six pregnant women have mercury levels in their blood high enough for levels in the fetus to reach or surpass the EPA's safety threshold for mercury. According to the latest government data, this means that 630,000 children are born each year with a strong chance of developing serious mercury-related health effects. According to the American Lung Association, 24,000 people a year die prematurely because of pollution from coal-fired power plants. And every year 38,000 heart attacks, 12,000 hospital admissions and an additional 550,000 asthma attacks result from power plant pollution. And coal plants get to inflict all this damage without paying a cent for it. It's called privatizing profit and socializing the risk. Tell the Environmental Protection Agency you support strong new limits on carbon pollution from coal-fired power plants. Is Childhood Obesity Only a Problem When It's Warm Out? UPDATE 2/14: Thanks to the New Bedford Standard-Times for reporting on the icy Fairhaven bike path. In towns like Fairhaven, good intentions on walkability are often buried under the reality of policies that strongly urge everyone to drive everywhere. Ella Tveit, 8, agreed that it would be fun "because we're going to exercise. Usually I just jump rope or hula hoop," she said. "This is way more fun." Before the event, [Rep. William] Straus told the children that bike paths are "important forms of alternative transportation." Obviously there aren't many great biking days in Massachusetts in the winter. But even when the temperature does rise, the bike path remains covered in ice. While the town pays to plow every road and cul-de-sac, it doesn't budget money to plow the bike path that's used by hundreds of people on nice winter days. The snow that's allowed to build up gets packed down into ice by ATVs that use the path and neighboring marshes as race tracks. But even if THAT obstacle was cleared, how would anyone safely get to the bike path? Bike lanes are few & far between, and the Fairhaven town code only requires landowners to remove snow from their sidewalks if they're asked to do so by the police. 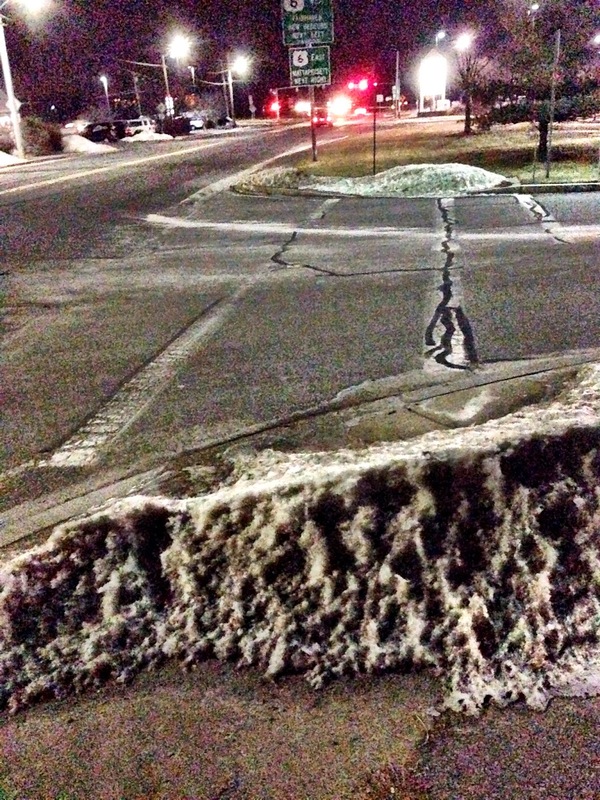 Why is allowing people to walk & roll enough of a priority to install sidewalks, ramps & crosswalks, but not enough of a priority to require they be cleared in the winter? 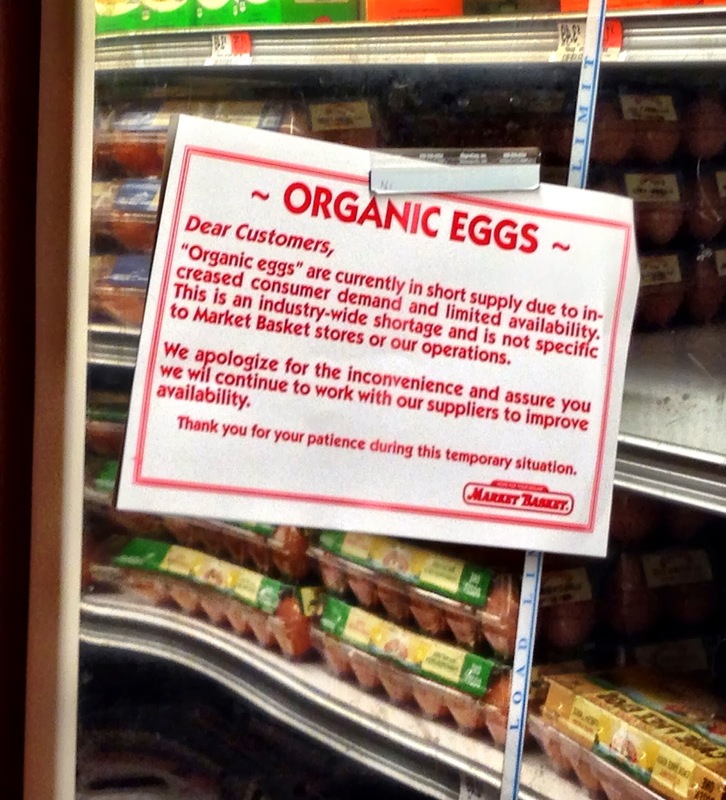 The Market Basket grocery store in New Bedford posted this sign recently apologizing for an industry-wide shortage of organic eggs. The shortage has also been reported in places like New York City. The Farm Belt isn’t going organic fast enough to keep up with surging consumer demand, forcing makers of organic foods from milk to deli meats to look abroad for key commodities while struggling to recruit skeptical farmers at home. The U.S. is the world’s largest producer and exporter of corn and soybeans, but organic supplies, which are used largely as animal feed for production of organic meat and dairy, are hard to come by here. We shovel billions in taxpayer subsidies to corporate farm interests and they can't even make enough organic eggs to sell us. Great system, huh? If you can't find organic eggs at the grocery store, use the USDA's Farmers Market Search to track down some local eggs. Or for the really ambitious, look into getting some backyard chickens.